Almost half of the United States is owned by the American public and managed on our behalf by government agencies. The Center uses science, law, policy advocacy, and strategic collaboration to protect and restore wildlands — and thus preserve the rich legacy of biological diversity and wilderness they harbor. As the coming century of global warming threatens to accelerate the extinction crisis, we believe the highest and best use of public lands is to provide safe harbor for species by protecting the ecological systems upon which they and we ultimately depend. To this end, our advocacy directly confronts land uses that harm species and ecosystems — from off-road vehicle use and livestock grazing to industrial logging and uranium and fossil fuel extraction — while advancing precedent-setting litigation, policies, and strategic collaborations to usher in a hopeful new era of biodiversity conservation for our public lands system. We work toward a future in which species and ecosystems are finally afforded primacy among public lands priorities. Trump has announced that he's slashing Bears Ears and Grand Staircase-Escalante national monuments in Utah. Take action now to stop these public-lands assaults. 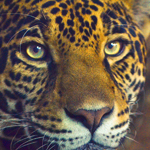 Sued the Trump administration over the border wall and border-wall prototypes to protect endangered species, including jaguars, ocelots and Quino checkerspot butterflies, and challenge the administration’s illegal waiver of environmental laws and unconstitutional actions. 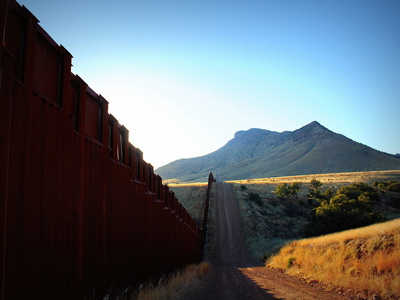 In addition to harming wildlife and public lands, the wall damages human rights, civil liberties, native lands, local businesses and international relations. Launched Keep Our Public Lands Public campaign in 2016, combining policy research, education, advocacy, creative media and grassroots activism to prevent public lands privatization. We published Public Lands Enemies in 2017, a first-of-its-kind report calling out anti-public lands Congress members, and hosted meetings across the West to educate and organize people to push back. Helped secure designation of California’s new Mojave Trails, Sand to Snow and Castle Mountains national monuments. These monuments include pristine mountains, rivers, wetlands and deserts, and protect habitat for threatened wildlife, including desert tortoises, desert bighorn sheep, golden eagles, mountain lions and bobcats. Catalyzed the landmark “Keep It in the Ground” campaign in 2015, uniting climate activists, conservation groups, public-health professionals, American Indian tribes and communities to end new federal leasing of fossil fuels on America’s public lands and waters. The campaign helped compel bans on oil and gas leasing in the Atlantic and Arctic oceans and a moratorium on new federal coal leases nationwide. Challenged Bureau of Land Management oil and gas lease sales in the United States in 2016 and co-organized on-the-ground protests of lease sales of public lands and oceans. These actions cancelled or delayed several lease sales and protected tens of thousands of acres of public lands and wildlife habitat from fracking industrialization. Beat back a uranium industry lawsuit in federal district court in 2014 that tried to undo the 20-year Grand Canyon uranium mining ban, and in 2015 met industry opponents with force in court again on appeal. Won final protection for 764,000 acres of protected critical habitat in 2014 to conserve and restore magnificent jaguars in their historic range in Arizona and New Mexico. Mounted a successful campaign for the Forest Service to reject a massive development near the southern entrance to the Grand Canyon. The plan would have depleted the aquifers that feed Grand Canyon National Park’s biologically rich springs. Secured a 20-year, 1- million-acre ban on new uranium mining around Grand Canyon National Park. The three-year campaign with tribal and conservation partners won protections that safeguard public lands, American Indian sacred sites and aquifers feeding Grand Canyon’s spectacular springs and tributary streams. Stood strong at Malheur and beyond when anti-government paramilitaries seized Oregon’s Malheur National Wildlife Refuge in 2016. The Center counter protested at the refuge, outside courthouses and in cities across the West to see justice done and make sure our national parks, forests, refuges and other public lands remain protected as the birthright of all American people. Worked with state agency and allies in 2013 to return bighorn sheep to their ancestral homeland in Arizona’s Catalina Mountains. 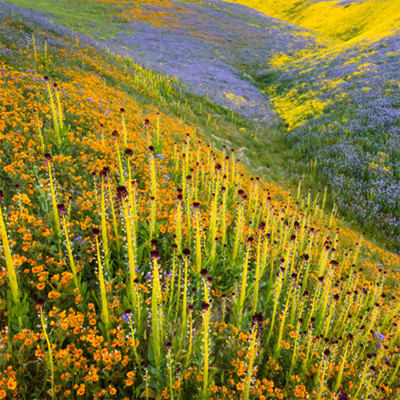 Protected 24 desert species on 11 million acres in the California Desert Conservation Area under a sweeping legal settlement with the BLM, helping protect the Peninsular bighorn sheep, prohibiting mining on 3.4 million acres and off-road vehicles on 550,000 acres, and reducing or prohibiting livestock on 2 million acres. The Trump administration has put 27 national monuments on the chopping block, endangering more than 1 billion acres of America's most spectacular, culturally important and ecologically intact public lands and oceans. Learn more and take action to save them. Keep It in the Ground: Ending new fossil fuel leasing on America's public lands and offshore areas would keep up to 450 billion tons of greenhouse gases from polluting our atmosphere, says an important recent study. Since 2007 we've been fighting the proposed Rosemont Mine, a massive open-pit copper mine planned for the beautiful Santa Rita Mountains in the Sky Islands region outside Tucson, Arizona. Learn which species live there and what else is at stake. 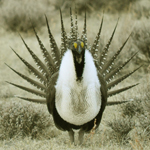 The Center has released a scorecard grading the feds on plans for conserving greater sage grouse across the West. Find out which plan failed. We're fighting in the courts, in Congress, and in our communities to stop Trump's border wall, a cynical attack on our beautiful borderlands. The ancient desert tortoise has been around since the Pleistocene, but now it's fighting for survival — and the Center is behind it all the way.